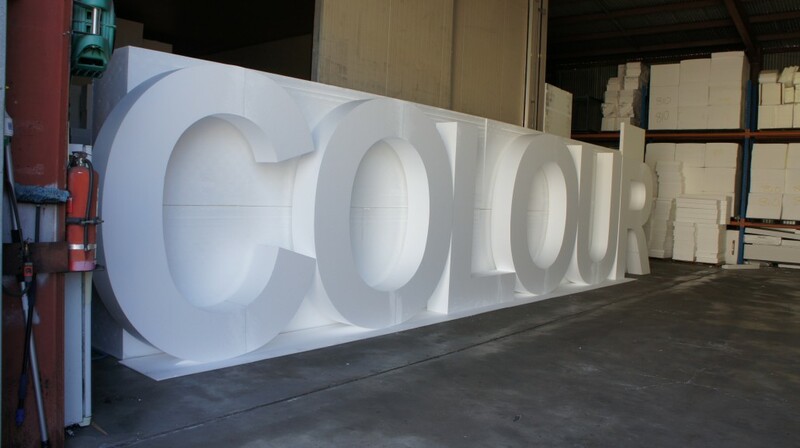 Polystyrene Products has a number of long-term clients, who continue to utilise our superior professional services time and time again. 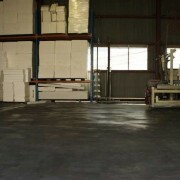 We happily uphold our reputation on each and every occasion, helping us to remain one of the leading polystyrene suppliers in Brisbane and surroundings. One of our long-term and loyal clients very recently approached us with a unique commission request. 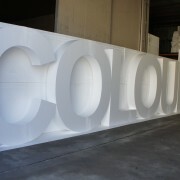 They required a very large expanded polystyrene (EPS) sign. 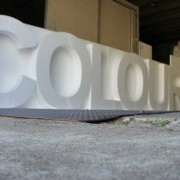 It was to be the vital centrepiece for a “celebration of colour”, a large part of their 20th year celebrations and a draw card for locals and tourists alike. 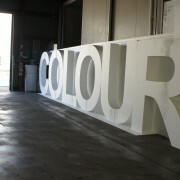 The promotion had already been underway for three or so weeks and we were called in to design, manufacture and deliver the Brisbane Colour Sign, and the client was in a hurry. 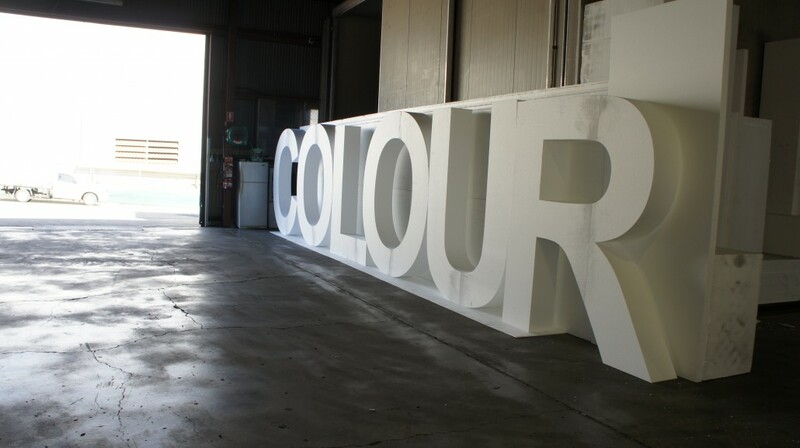 Each letter of the sign had to be exactly 1800 millimetres high and precisely 300 millimetres thick, but the catch was that each letter had to be able to support its own weight and be self-standing – this meant without the use of any struts, braces or supports. 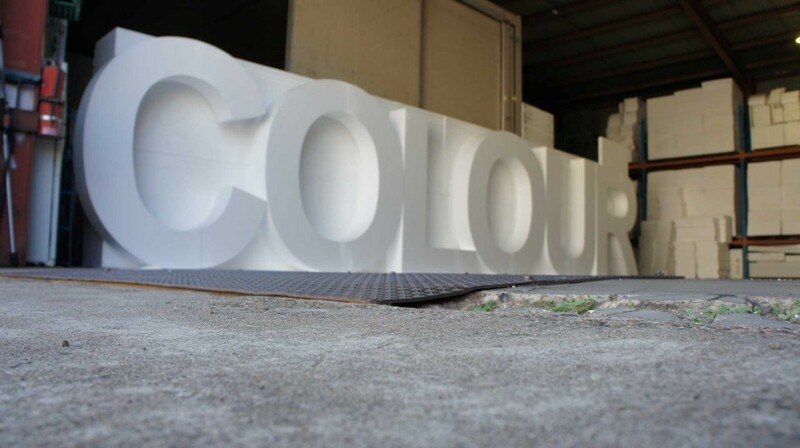 The icing on the cake of this challenge was that the surface needed to be able to be painted in a myriad of colours, as every week the sign was to be painted a different colour as part of their ongoing celebrations. To deliver a product to these precise requirements we had to be painstaking in both our design and manufacturing, while remaining very conscious of our client’s time restraints. We factored in the required measurements, weight and precise texture that the surface of the EPS would need to be for the repeated paint jobs. Yet again, we were able to deliver the product exactly to our client’s needs, well within time. Nothing makes us happier than seeing our clients satisfied with our work and professional integrity. 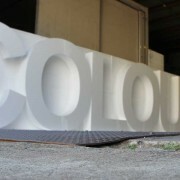 For further examples of custom jobs we have delivered take a look at our gallery and selection of products.